If you love horses and want to know more about their behaviour, handling and training, this is the best opportunity to volunteer preserving a culture of respect and connection with this amazing animals. Volunteers should be confident and self motivated. Willing to connect with their natural side, to understand more about horses and to know different cultures. Open to communicate with other persons and work on the country side. Mantainance of the horses and promotion of the tours. 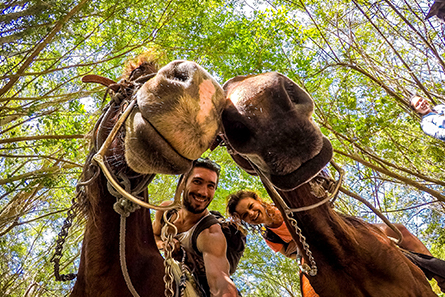 Salvador Horse Rentals is a family organization that promotes the horse breading tradition in La Punta Zicatela. It is an open project that shares with the neighbours and visitors the opportunity to learn how to ride the horses and communicate with them. With more than three generations living with animals and nature, Salvador´s family will be happy to share with you their knowledge and nature appreciation spirit. They organize tours on the beach to see the amazing sunsets and to the Colotepec river to disconnect from the urban rush and find yourself inmerse in paradise. You will be promoting the tours with locals and visitors for them to have this opportunity. 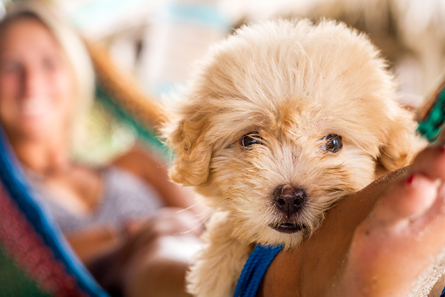 The activities depend if you come during rain or dry season, you will be feeding them, giving them showers, cleaning their space and taking them to walk to keep them excercised and relaxed. Their house is located at La Punta Zicatela, walking distance from our Surfcamps, were you will find the perfect combination between rural traditions and a vibrant multicultural energy..
participate during the tours Mon. to Fri. Taking care of the horses, feeding, walking and washing them. Walk with the horses to keep them in good shape. Promoting the tours and riding lessons. 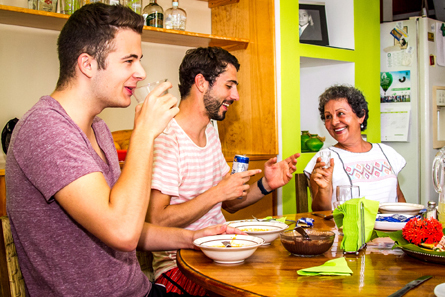 If you want to share what you are learning, know people from Puerto Escondido and all over the world you can participate in the tours during the afternoon. 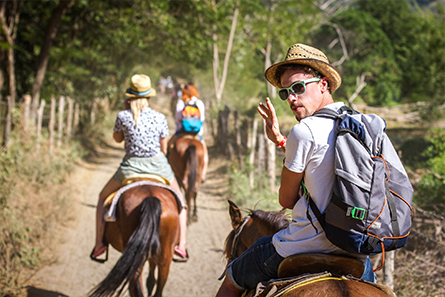 You will get to know some of the most beautiful landscapes Puerto Escondido has to offer and feel the joy of seen other persons connecting with nature. 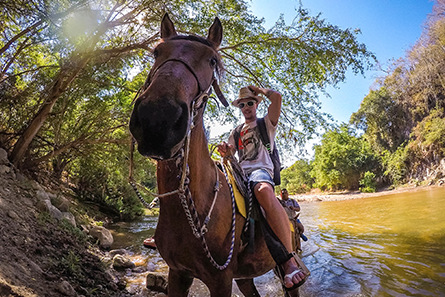 Once you learn how to ride the horses and connect with them you can ride them around the community.